* Duration Depends on Raw Water Quality & Level of Contaminants. ★ This Filter is Installed with Advanced UF Hollow Fiber Membrane, which Separates and Stops Bacteria, Cysts, Spores, Organic, Algae, Colloid, Particles & More! 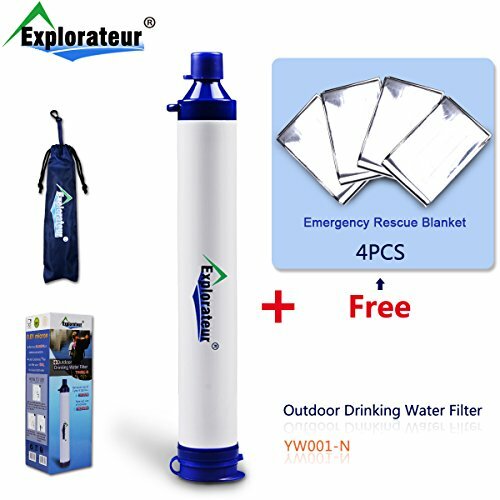 The Explorateur Filter Straw Help Creates Clean, Clearer & Healthy Drinking Water When Camping, Hiking, or Emergency. If you have any questions about this product by Explorateur, contact us by completing and submitting the form below. If you are looking for a specif part number, please include it with your message.